They make up 1% of our blood, but they have the power to seek and destroy cancer cells and bacteria. 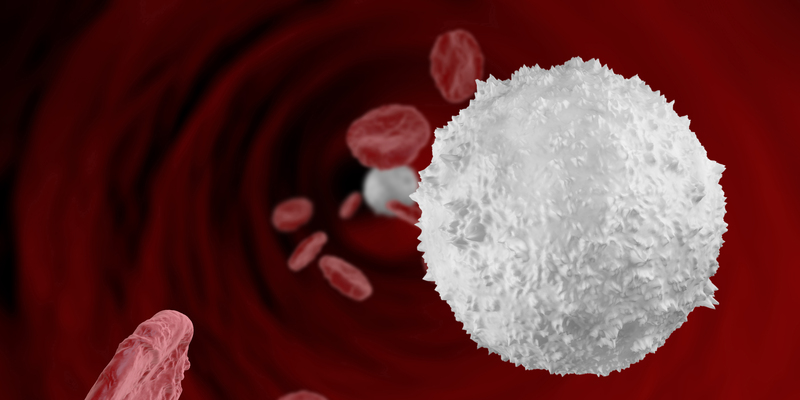 Produced inside bone marrow, white blood cells are released to circulate through our blood and are transported to infected areas in order to attack the offending germs. These cells survive for a short period of time, between a few days and a few weeks. White blood cells play a very important role in our health, and we can help them thrive by eating the right foods. The Physicians Committee of Responsible Medicine suggests foods high in beta-carotene, like carrots, “The function of natural killer cells and other white blood cells is improved by as little as 30 milligrams of beta-carotene per day, the amount in two large carrots.” Livestrong.com points to foods full of folic acid and protein to help white blood cells do their job and boost our immune systems. Check out these immunity recipes from EatingWell.